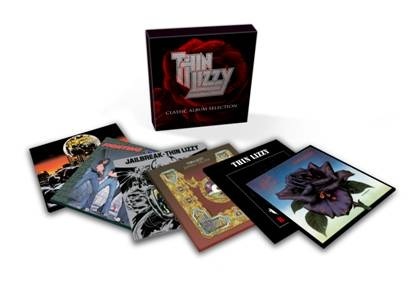 On 11th June Thin Lizzy will be releasing a wonderful Classic Album Collection. Presented as mini-LPs and housed in an attractive slipcase, these limited edition artist album box sets are the ultimate overview of the band’s career. Whether you are looking for an introduction to Thin Lizzy or if you are simply looking to bolster your collection this ticks all the boxes. The perfect gift for rocker dads with Fathers Day looming or equally just a nice way to spoil yourself and build your collection.